Destination Shopping: “A shop where people will travel to because they sell particular items they are looking to buy that they cannot get anywhere else”. With that in mind it’s easy to see why many of today’s high streets are changing - shopping habits and requirements have changed significantly over the last decade, and if you happen to sell a product that people no longer need (or want) or they can get it without travelling as far then your livelihood is at stake! It’s quite simple to understand but often shop owners struggle to adjust as they are just too involved with the running of the day to day things which easily distract you from the inevitable decline in sales and more importantly, the reasons why! I worked for Dougie Dunbar, the then owner of Pyramid Imaging, for over eight years and watched this happen first hand. When digital cameras came out the quality was terrible but gradually they improved to not only match film but exceed the quality of film. The inevitable fall out was slow and painful to watch…. Just about every week another photographer proclaimed they had “gone digital” and then we rarely saw them again. 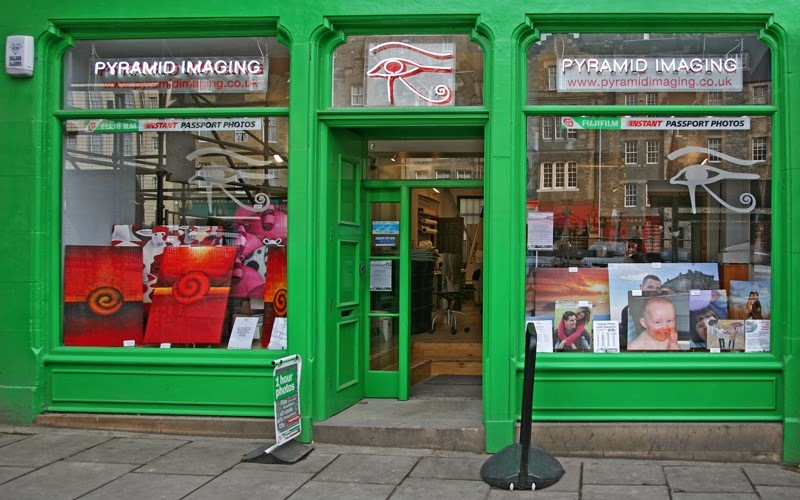 The bottom line was they didn’t need us any more to do the processing as they could access their photos directly, hence why the photo printing destination shop started to decline. Add to that mix a terrible recession, Facebook removing the need for photos to be printed at all and bigger and better T.V.’s for displaying your photos and, well, we were just not required any more. The trouble was the shop still needed to pay all the bills - staff wages (me included), electricity (man that E6 processor ate the juice), rates, rent, maintenance, processing chemicals, and the biggest expenditure of all was the bank loan for all the equipment…… Never ending! Eventually the “High Street” shop becomes economically unviable to run. 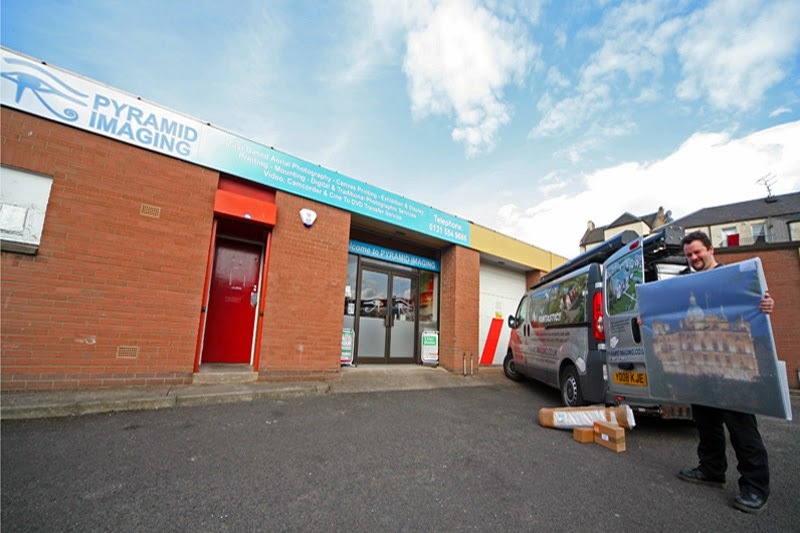 The solution for Pyramid was a unit - much cheaper rates and rent, however the downside was losing all the footfall. Then we noticed the internet was starting to play a larger and LARGER role - people were becoming quite “cheeky” is the best I could describe it. Basically they would come into the shop, ask your advice about printing, make an excuse and then use your advice to find a cheaper price online - it’s the main reason why Jessops went bust. There was no way we could compete with the exact same products and internet prices that were from huge companies arranging to print their products using the lowest bidder (usually from another country). At this point Pyramid closed down - I shook hands with Dougie and he sold everything on eBay to someone from Wales. A sad day indeed! He went off and retrained and is now working in the oil industry, and I moped around for a bit and then launched Canvas Printmaker. This time round it was mail order and internet only. And it worked - small businesses can compete online with the “big boys” as long as you sell products that they cannot hope to match. As Canvas Printmaker specialise in canvas prints, particularly quality canvas prints, we can and have been doing so for over five years now. We still supply National Galleries with canvas prints and we still maintain our quality standards - very few online canvas printers are prepared to varnish their canvas prints because the varnish is tricky to apply properly and takes time to do dry, but we do because we care! Likewise, whenever we get asked to print collages and montages we do it the way the customer wants and not the way the company is prepared to do it - it takes longer, you see, to prepare customised collages rather than the computer generated one button press, however it is exactly what the customer wants. This is the single biggest factor that small businesses need to do when adapting to change - keep the customers happy and your business continues to trade. Many, many big companies have forgotten that and you can use their customer indifference to your advantage. However, we are starting to notice a new online trend with Google search results. There was a time when searching for “canvas prints” would actually produce a set of results of businesses that actually made the canvases themselves. These days searching for “canvas prints” turns up “Tesco”, “Asda”, “Aldi”, “Boots”, “John Lewis” - none of which actually print the canvases themselves. (As a side note we used to print Asda roll up banners for design agencies - it certainly wasn’t Asda printing them). Not to mention the irrelevant Wikipedia article - surely it is more likely that I would be looking to buy canvas prints than find out what they were? And if you are starting to see this too then I would ask yourself: Would you rather go to a qualified dentist or take your chances with a supermarket? If the answer to that is “dentist” then apply the same reasoning with printing - use businesses that know what they are doing! Look for their reviews to confirm this, and hey, try pressing the next button and see what’s beyond Google’s biased page one.